The word “addiction” is derived from a Latin term for “enslaved by” or “bound to.” Anyone who has struggled to overcome an addiction—or has tried to help someone else to do so—understands why. An individual who suffers from both chronic mental illness and addition faces a truly difficult situation. 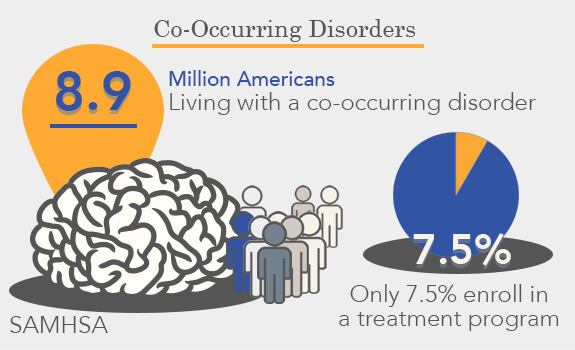 These Dual Diagnosed medical conditions often interact with one another. An individual who suffers from untreated chronic mental illness may turn to drugs and alcohol in an attempt to reduce the mental health symptoms. Conversely, excessive drug use can and does make a number of serious mental illnesses worse. Now that recreational marijuana use is legal in Washington State, we frequently receive questions about the impacts of marijuana in the workplace from managers and supervisors in organizations who contract with us for employee assistance program (EAP) services. Washington State's legalization of marijuana may have created a pit fall for unknowing job seekers. Not only does the State allow for marijuana to be used in accordance with a physician's prescription, but it can also be used recreationally. Seems like there shouldn't be any confusion, right? Unfortunately, it’s still a bit hazy.